What Is A 'Green Card'? 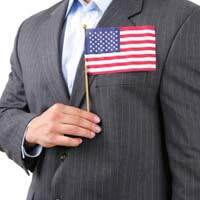 Home > Emigrating to the USA > What Is A 'Green Card'? The USA is one of the most popular countries in the world to emigrate to and each year, hundreds of thousands of people, apply for what’s commonly referred to as a ‘green card’. There are several different ways you can qualify for a ‘green card’ although you should not presume that they are easy to obtain. The USA, like many other developed countries, has many problems with illegal immigrants and, therefore, the green card is just one of the ways of determining which foreign nationals are permitted to reside in the country and to take up work there. What Does Having A Green Card Actually Mean? A green card is a plastic identification card, which looks quite similar in size and shape to a U.S. driver’s license, which acts as proof that a person has the permanent resident status of an alien in the U.S. Once you are made a ‘Lawful Permanent Resident’ (LPR), it means that the U.S has recognised that you are entitled to immigration benefits which include the right to live in the country unconditionally and to take up employment as long as you maintain your permanent resident status. It goes far beyond the restrictions which are placed upon other certain temporary visas. For example, if you take a summer job at an American children’s camp or other casual seasonal employment or you’re becoming a student in the States, you’ll receive different kinds of visas which allows you reside there in order to do those types of things, but the conditions of such a visa are strictly linked to those specific periods and what you’re there to do. However, even with a green card, having one comes with certain conditions and if you travel outside the USA for too long or break certain laws, it can be revoked. The right to bring other family members to the U.S. Fewer visa restrictions on travelling outside of the U.S. The Green Card Lottery aims to increase the cultural and socio-economic diversity of the U.S. by randomly issuing a quota of green cards each year to people who may not meet the usual set criteria through family, employment or investment. There are, however, certain nationalities who cannot apply to go in the lottery draw as the U.S government deems that there are already sufficient foreign nationals from the specific overseas countries involved who are already well represented as U.S permanent residents or citizens. UK nationals fall into that category so you cannot apply via the Diversity Lottery if you were born in the UK, at present, unless you were born in Northern Ireland (even though that is part of the UK). Certain other foreign nationals are not eligible to apply either for other reasons. There is plenty of information online about the Diversity Lottery program but be warned, there are plenty of ‘scam’ companies out there who claim that they can increase your chances of obtaining a green card for a fee, yet this is a myth and you should steer well clear of these organisations. The U.S embassy in London is also a useful source of information when it comes to U.S. immigration and green cards. One final point of interest – the green card isn’t actually coloured green at all. The use of the term ‘green’ in this regard is more symbolic and is associated with the fact that ‘green’ is a colour that tends to mean ‘go’, ‘enter’ or ‘proceed’.